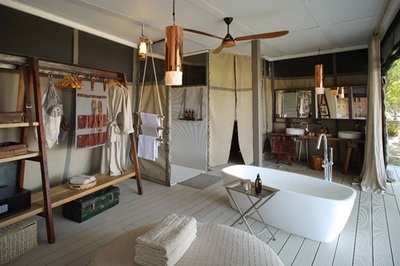 Chinzombo Camp is set in a private concession on the border of the famed South Luangwa National Park; and enjoys a shaded spot beneath the canopy of a grove of mature trees. Guests here enjoy private access to the Park. 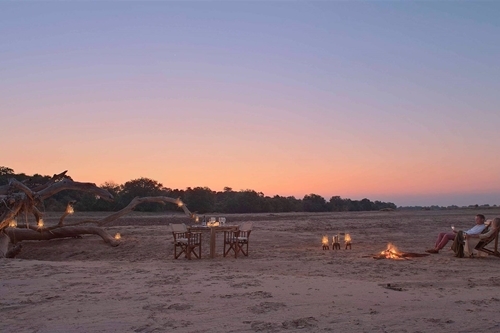 The site is peaceful and secluded and as it on a ‘peninsula’ formed by the meandering Luangwa, is practically an island. So named after the chinzombo fruit, the Camp is one of the most luxurious camps in the area, and has only six villas, each with en-suite facilities. 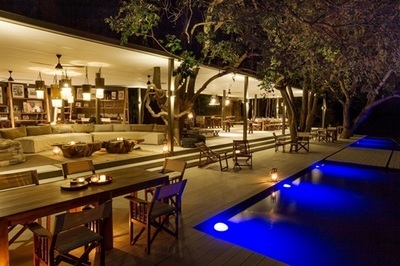 One villa is designed for use by a family, and has two bedrooms and bathrooms. Each villa is designed to merge into its pristine surrounds whilst ensuring that you enjoy every comfort, including a private plunge pool, deck, cooled bedroom and wonderful views across the Luangwa River. 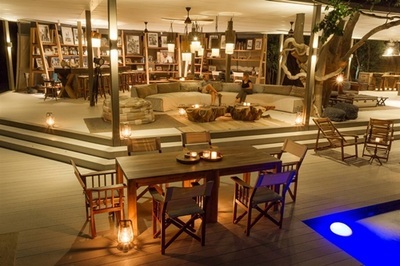 Chinzombo Camp’s main area is home to an open-plan bar, library, dining room, and a swimming pool. In your leisure time in Camp, can make use of Wi-Fi access, the exercise and yoga area, Spa facilities and refreshing plunge pools. 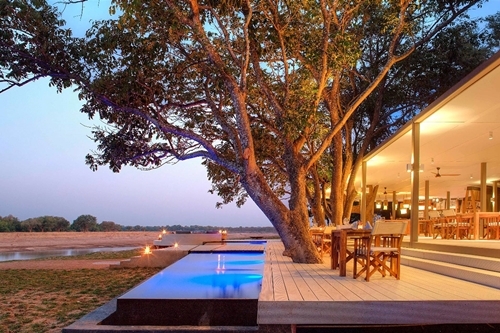 You might prefer to make use of one of the shady decks overlooking the Luangwa, for some relaxation. 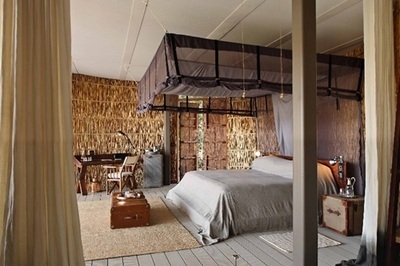 During your stay at Chinzombo Camp, you get to explore the area on day and night game drives or bushwalks through South Luangwa National Park. 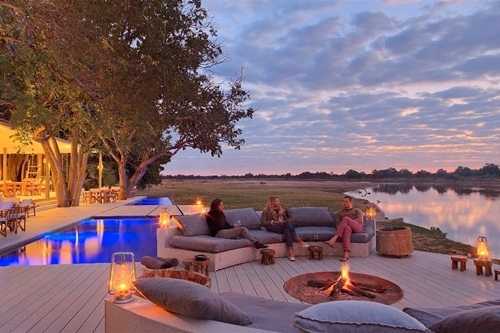 Game is abundant in this region, giving you great opportunities to spot elephant, hippo, giraffe, lion and leopard, and numbers of plains game. 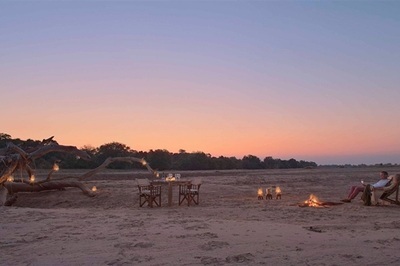 The South Luangwa National Park offers very good game viewing in general, which is complemented by its dramatic scenery. 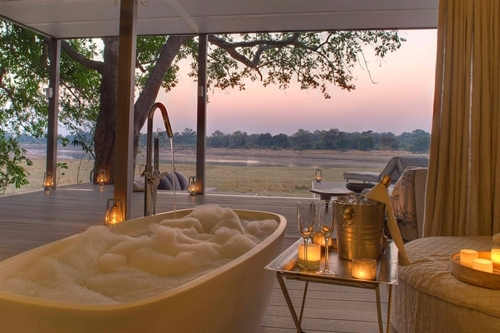 The Park is home to a significant population of elephant and the Luangwa River is home to more Nile crocodiles than any other river in Africa, in addition some 400 bird species are found in the Park, making it a wonderful place for birders.